Rose Day is an Intel® Software Innovator that has grown up around technology and focused her education since high school in the field. She works with sensors and home automation technology to collect and analyze environmental factors in order to identify and manage triggers that impact a person’s health and well-being. 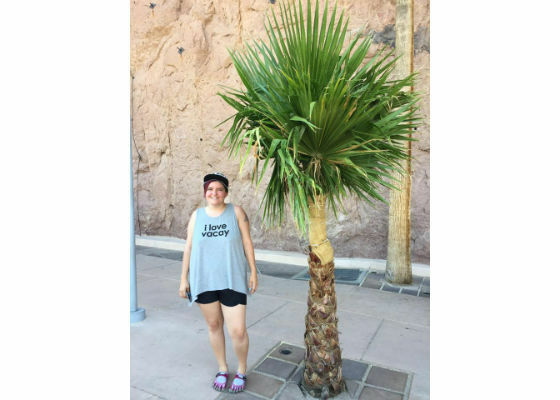 Rose took the time to share with us a bit of her background, the projects she is working on now, and her thoughts on where technology is headed. I began my education in engineering at a technical high school in Connecticut where I was able to get a generalized understanding and overview of electrical and computer engineering while working alongside some teachers trained not only in teaching but in industry. I continued my education and graduated in May 2017 with a B.S in Computer Engineering at University of Hartford. I spent two years researching how home environmental changes can affect migraine sufferers. This, in turn, allowed me to focus my senior capstone project on analyzing room variables in terms of migraines, creating an iOS application that interacted with small sensor nodes and AWS. 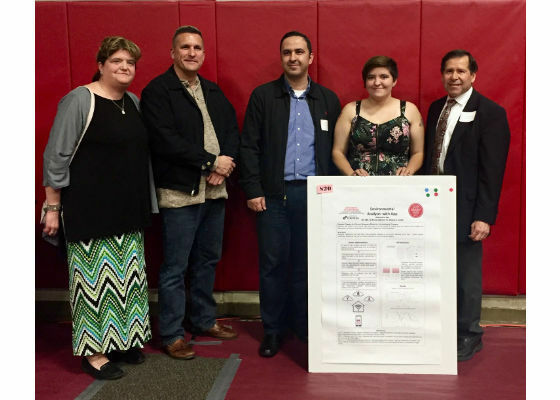 After graduating, I started my Masters in Data Science at Worcester Polytechnic Institute where I intend to continue my research in home environmental changes and its effects on the people in the home. I am currently working with my advisor, Dr. Hassan Salehi, on writing a journal article on the work done during my B.S degree for analyzing environmental changes in the home in terms of the environment. I am also continuing my research and working to improve it during my Masters and hope to have the iOS app available for release at a later date. I suffer from migraines, visual migraines, and sinus headaches and I know there are many others out there that do as well. So I’m hoping to eventually help people to deal with them more effectively. My parents enabled me to get interested in technology at an early age. My earliest memory of tinkering with electronics was when my dad used to hold the circuit boards as I soldered. I don’t know how often he got burnt, but it sparked an interest in learning. As I got further into my schooling, my mom became my biggest cheerleader, pushing me further than I thought possible. She always supports and encourages my research and projects. She, my grandmother, and my great-grandmother have shown me what it takes to be a strong woman. 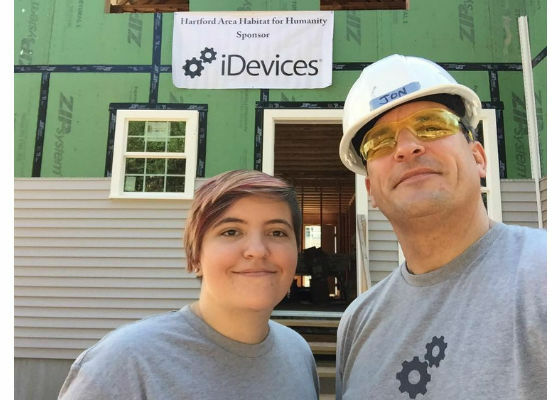 Rose, and her dad, working with Habitat for Humanity on a company volunteer day. I am currently working on my Home Fingerprint project in which to analyze home environmental changes and how they affect people in the home. It is an extension of my research done in my B.S. degree. With all of the sensors and automation we have in houses now, why not begin using these sensors for our own benefit? The long-term goal of this project is to fully incorporate it into my own tiny home so that I can be constantly monitoring the changes that occur. And yes, I said tiny home! As I continue to work on this project, I am constantly researching how data can be manipulated, cleaned, and presented to the user to provide the best results. Not all data is useful when just given to a user in its previously retrieved format. This has been the most challenging part of the project, but the most interesting by far! I strive to one day have a home that helps me to live healthier through the use of technology. I believe one of the most interesting challenges I have had to overcome in technology recently was part of a competition I competed in with friend. In 2016, my two friends and I competed in the CT Skills Challenge. This is a group challenge that assigns a specific topic for the team to engineer a solution in which all areas of engineering can be applied. After assembling a team, we team competed at the University of Hartford in the initial round. During the initial round of the competition, teams were given a packet of data relating to the elderly community and asked to design a solution related to such community. After reviewing the data, our team came up with the solution of an app called Step. Step is an application targeted at the elderly community to aide in facilitating communication between doctors and patients recovering from injury. The overall app would track a user’s injury, recommended treatments, and routine of the treatments. The data would be transmitted back to the doctor for further analysis of treatment options available and changes that could be made. This concept placed in the top three of the initial round and won us a place in the finals. 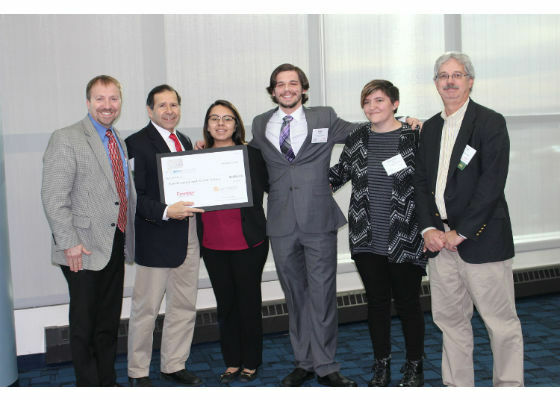 The finals for the competition took place at Rentschler Field in East Hartford, CT. Once at the finals, a similar format was followed in which the team was given a data set that applied to clean water and asked to provide a solution. With such a broad topic, our group narrowed down the topic to Latin America, and a solution for clean water. We developed a point-of-use water filtration system. This design was based on the UN standard for water which states that if you have running water in your home, then you are considered to have clean water. This is not true for millions in Latin America who have running water that is unsafe to drink from the tap. With this, a cost-effective, three-stage water filtration system can be implemented with the use of local products and e-waste removal. Overall providing inexpensive drinking water to families through filtration and storage. After developing our idea, we dedicated an hour to master the elevator pitch and presentation which placed us in the top five of all the teams present. Once in the top five, we presented a five-minute power point presentation on our topic. Due to our team dynamic and presentation skills, we managed to win first place overall in the finals. All of our effort proved that through hard work, time management, and preparation that anything can be accomplished! This challenge was unlike any I have faced in the past but it showed how a team can leverage each person’s unique skills to reach a unified outcome. Being a woman in technology is an interesting challenge at times. Graduating in May, I was the only female engineer to graduate from the Computer Engineering department at the University of Hartford. While working on my environmental analysis for migraines project at university, the project itself was a struggle to get through as during my first semester of working on it I was told that I wouldn’t be able to join the capstone project class for it. I was going to be graduating in a year and needed to finish the project in order to do so. Transferring schools and classes/credits can be a bit of a mess since classes aren’t always taught in the same order. I continued my research while struggling to get into the capstone class and was able to present my project the following year. The project presentations took place at the school with the entire College of Engineering, Technology, and Architect (CETA) department at what is referred to as the CETA Design Expo. It was a poster competition in which every graduating senior in CETA had to participate in. The expo had two rounds (1) everyone was judged and the top ten were picked to continue on, (2) the top ten would then present a three-minute impromptu presentation and the top three winners would be announced. With all of the struggle to get into this class, I will say, it was worth it. Come the day of the expo, I placed in the top ten. Being an avid public speaker, I presented my project and research in the best way I knew how – through personal stories and experiences. This was what I had worked for. By the end of the competition I was announced as the number one winner overall for CETA. The biggest struggle in the five years of my B.S. paid off. And the best part? It was announced at graduation! 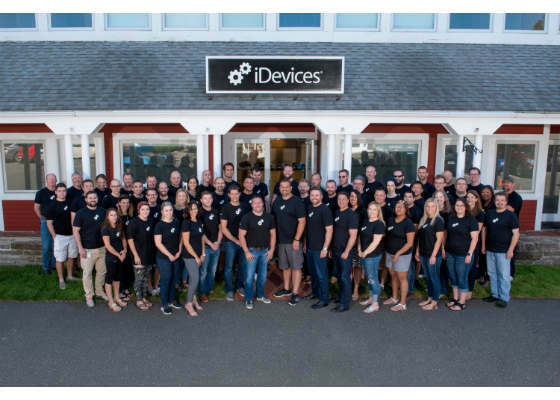 After pushing through this project and showing that women can conquer any challenge, I took a job at iDevices (a Hubbell company) in Avon, CT where I’d been an intern for the past year. Starting my job, I was the first and only woman engineer to be working at the newly acquired company. The trend I see having the highest impact on the consumer market in the near future is data analytics and learning being incorporated more into the everyday products for home automation. Looking at the home automation market now, many companies are producing sensors, cameras, etc. that are constantly reading and writing data. If we begin to leverage this data being seen in the home, it can be used for both consumers and business. Businesses can begin using more of the data collected to analyze what projects users are taking advantage of, how often specific products have issues, and more. It will bring another level of business analytics into the company for home automation. On the flip side, consumers can delve further into their own analytics by incorporating more statistical analysis of data collected, heat maps of rooms used, analysis of people who frequent the house, etc. This is why I have focused my research on environmental changes in the home and how it can be used for analysis both in general use cases and in health analytics. There is a fine line that no one talks about regarding data collection and sharing. Personally, I would prefer to collect my own data to analyze it and not have a big company collect if for me. But when looking at a company like Facebook, when creating an account, you are signing an unspoken contract about sharing your data and secondary apps must ask permission to access the data. Seeing this, I feel this is where home automation companies are headed in which you buy a product knowing they have some access to your data. I feel that data collection is going to happen anyway; it is how businesses operate to further themselves and make decisions to further innovation. With that in mind, I believe it is up to the consumer to decide what to share. Personally, I am uncomfortable with IoT connected cameras in the home, therefore I don’t have one and the data won’t be shared. But there are many others that will have no such issue with them. I joined the Intel® Software Innovators program back in July, but during my short time here I have immensely enjoyed it. Through Intel I have been able to explore options I didn’t know would be possible and meet with people in different parts of the world that share similar interests. Intel has helped me get more involved in the developer community. 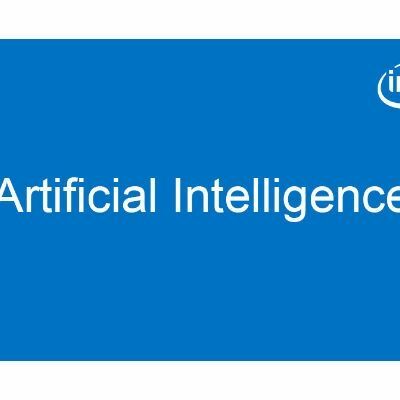 Through Intel I hope to continue my research and push further into IoT and the analytics field. Outside of technology, what types of hobbies do you enjoy? I really enjoy art and public speaking. 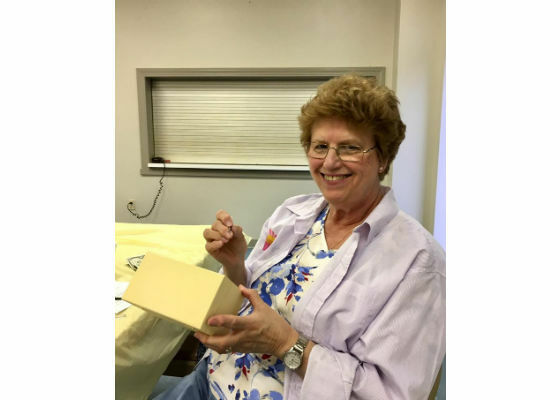 Typically, I spend time going to a paint club with my grandmother once a month as well as working on other craft projects we can muster up. We have often quilted together in the past and even took UConn art classes together. When I’m not crafting with Gram, another hobby I enjoy is public speaking, which I got into during my first internship at the IT department of Travelers Insurance. 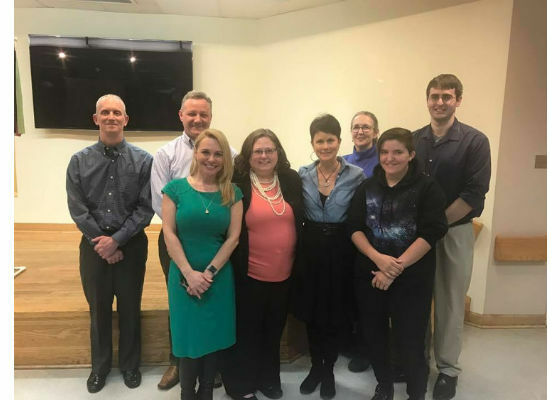 I joined my first Toastmasters club in West Hartford, CT (#3523!) and it has been one of the best decisions I’ve made. Toastmasters has helped me improve my speaking abilities and learn to communicate in a more effective manner. You mentioned earlier that you want to live in a tiny home. What are your motivations for that? My goal is to live in a tiny home that is 400 square feet or less, preferably on wheels for traveling. I am a person who enjoys living in a space equivalent to one room and the idea that I can control my whole environment easily with that is a huge plus! My goal is to live a healthier lifestyle but technology can push that even further. Knowing I suffer from migraines and asthma, it is best for me to live in an environment that is not too dry or humid, and in which the temperature doesn’t vary. Therefore, one thing I would like to implement is a way to analyze patterns in temperature and humidity to be able to adjust this to my liking. Another aspect I would like to incorporate is reading data for air quality, chemicals, and dust in order to implement an air filtering system to aid in cleaning the air. Having asthma means that dust and chemicals are not always your best friend. I would eventually like to live off grid, if possible. With that in mind I have considered adding in technologies such as solar and wind to produce energy and track how much is produced during a day versus how much is used. And lastly, a way to track water usage in the home and be able to shut water down remotely in case of leaks. I am fairly active across several social media platforms including: Intel’s® Developer Mesh, LinkedIn, GitHub, Instagram, and Facebook. 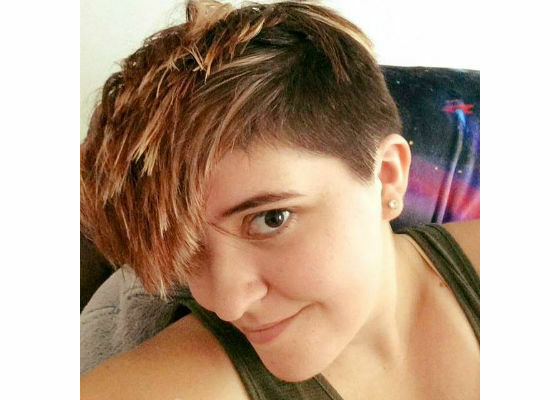 I would love to connect with other developers in my area, female developers, and of course people working on similar projects.